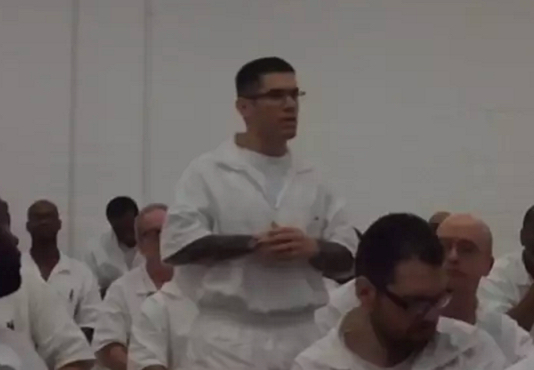 We provide a four-year Christian education to long-term Texas inmates. But that’s just the beginning. When they graduate they become TDCJ “Field Ministers.” They are then transferred in teams to other prisons in Texas. For the rest of their lives in our prison system, these Field Ministers are allowed to serve the spiritual, moral, and humanitarian needs of other inmates. Though we are Christians, all of our Darrington prison seminary programs are open to all inmates, regardless of faith, religion, race, creed, or color. Our seminary program is provide in partnership with us, by the Southwestern Baptist Theological Seminary in Forth Worth, Texas. We are the priavte funding that supports the Southwestern Seminary at Darrington penitentiary. The Darrington penitentiary is in Rosharon, Texas. The Darrington Seminary consists of a four-year course of study for long-term inmates that results in an accredited Bachelor of Science degree in Biblical Studies. We work diligently to be within the constitutional framework that allows us to bring our Christian educational opportunity into the prison. As volunteers, we support and share the same mission of the Texas prison system, the Texas Department of Criminal Justice (TDCJ). We provide, with TDCJ’s permission and accommodation, one of many of the agency’s programs which are offered to its incarcerated men and women. Our curriculum uniquely emphasizes 2,000 years of Christian church history and its impact on humanity, and includes the core curriculum of a typical bachelors degree (English, Personal Finance, World History, etc.). The students voluntarily apply for admisssion to the Southwestern Seminary at Darrington penitentiary. Students from any faith, any religion, or no religion may apply. There is no requirement for an inmate applicant to be a member of any faith or religious persuasion. Inmates from all over the state of Texas are allowed to apply once a year. Once accepted, they are moved to the Darrington penitentiary to begin their educational studies. Once accepted through the TDCJ admissions process, all students of the school are housed in their normal housing assignments; they are not housed in a separate faith-based wing or dormitory. During the four-year course of their studies, the students begin to discover new hope for a way to live out their extremely long-term sentences. As they discover a new kind of morality for themselves, they desire to find meaning for their lives as moral men. This educational and religious program equips the student inmates to provide positive intervention to the culture of their prison. The moral inmate is, without question, the greatest asset any prison system has. Through their four years of study, the students in the Darrington seminary often find hope and a new vision: they discover a way to live out their many future years in prison, and yet do it in meaningful service to other inmates. As Christians, we are concerned about all aspects of the lives of incarcerated men and women—physical, educational, social, emotional, moral and spiritual. We strive to meet these needs while respecting the authority the inmate students are under within the context of TDCJ, their prison sentence itself, and the United States Constitution. We are uniquely focused on the lifer and long-term inmate. Many of these men will die in prison due to their long sentences; through their studies they have a chance to become productive citizens within the prison. For the rest of their lives, their only community, their only neighborhood, will be their prison and the other inmates who live there. We strive to equip the men to not only meet, but exceed the goals of the prison system itself. We desire to have moral men who are thoroughly equipped to counsel, mentor, influence, and teach others from an educated, moral, and biblical perspective. The moral fabric and the credibility of our graduates, as they serve in other prisons after graduation, is creating an unprecedented cultural intervention in the prisons. This cultural intervention, through the impact of our student graduates who voluntarily transfer to other prisons after graduation, produces significant culture change in those prisons. The measurable culture change which occurs through such intervention by the graduates includes such things as: reduced prison violence; reduction of inmate suicides; increased numbers of gang members who renounce their gangs; encouraging inmates to seek the benefits of a higher education; reduction of gang violence; reduction of sexual predation; reduction of drug and contraband abuse; reduction of extortion; reduction of inmate-on-inmate violence. The graduates, be they Christians or otherwise, are able to live out their personal faith in appropriate, beneficial ways, while in service to others. After our first four years of operation, in 2015 we graduated the first class of seniors. Each graduate is offered the opportunity to volunteer for service in other prisons as a “Field Minister”. The graduating class was divided into teams of 4-5 men and the new Field Ministers were then transferred to 7 of the men’s maximum-security Texas prisons. Since that first graduation we have graduated a total of three classes, once per year, and in 2017 we now have 96 Field Ministers serving in 19 Texas men’s prisons. They mentor, counsel, teach, share their faith where appropriate, and are intervening in the cultures of their assigned prisons. They visit the sick, the grieving, the angry, they teach classes, and some of them even preach. We have a new graduation in May of each year. The Heart of Texas Foundation continues its support of the men when they graduate. We visit them in each of their newly assigned prisons, and work with their Chaplains and Wardens to help the Field Ministers begin and sustain their service to others. We deliver to each team a Field Ministry Development Kit, provided by the kind gifts of our donors. The kit contains hundreds of books to begin their own Theological and Resource Libraries, and computers with printers for the men to better serve their peers. Soon, the Field Ministers, with our Foundation’s assistance, will be trained to teach others how to read. There is much to learn about our work, now in its seventh year. We are grateful for our continued opportunity to serve the state of Texas and its inmate population. We are also privileged to help other states who undertake their own prison seminaries with the goal of bringing true cultural intervention into their prison systems. Click on the picture below to see a short video. This is a student who gives his perspective on having enrolled in the Southwestern Seminary at Darrington, and who is serving a life sentence. Gary, a Junior at the Darrington Seminary.